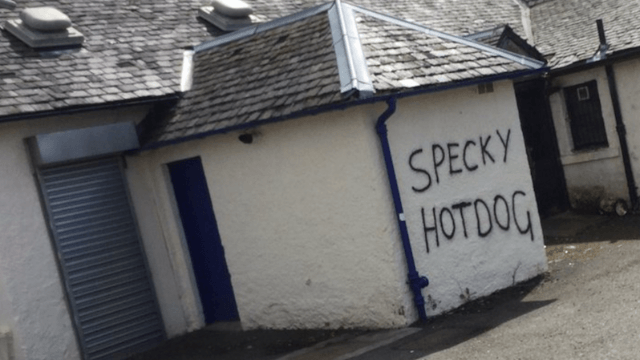 24 times graffiti artists probably could have tried a little harder. Done well, graffiti can be a powerful and subversive form of art. It's usually created anonymously, under cover of darkness. It's mostly illegal. And it is, by definition, a kind of public statement—out there for the whole world to see. That's why it's so disappointing when wannabe graffiti artists don't give us their A-game, or just don't have one. A Twitter moment collecting some of the worst of the worst efforts in recent months inspired us to find even more bad graffiti at which to shake our heads. Come on, y'all, you can do better than this. You know, investing in just one art class isn't the worst idea.